In this important volume, Dr. John L. Lund presents, in a direct and sincere manner, steps we can take to change our approach to giving and receiving criticism as disciples of Jesus Christ. 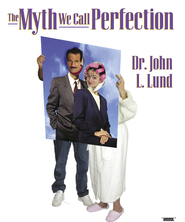 Dr. Lund tells how we can lead ourselves and others toward positive change without falling into unrighteous traps like judgment and contention. He also shows how to recognize common forms of inappropriate criticism like sarcasm and excessive direction giving and how to recognize those times when criticism is appropriate and necessary. Without Offense: The Art of Giving and Receiving Criticism will teach you how to thoughtfully give and receive criticism without offending the Holy Spirit or one another. I use this book continuously. This book is excellent. 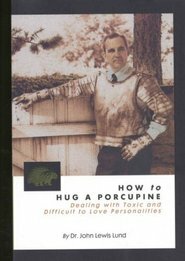 It is the best book I know of to help your teenagers as well as the rest of your family to learn how to have healthy relationships. It has changed my life. I can't live without this CD! John does such an amazing job of getting to the heart of what criticism really is, he challenges you to be a little better at the end of each chapter. I own the CDs and his book! I've listened to them easily 20 times, there that good! I have even used some of his material in a talk for sacrament meeting, because there was a story in there describing true love and it's true meaning. I believe everyone should own the CDs and the book. If everyone lived by it his teachings, this world would be some much kinder, not to mention smarter all together! To truly love as the Savior does! 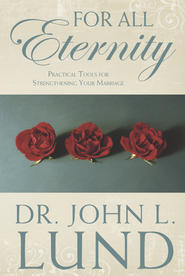 This book gets to the core of what the Savior meant of 'love one another'. Our parents, bishops and prophets are called love AND called to judge, the rest of us are only called to love. This book is eye opening, heart warming and thought provoking. It will make you laugh, cry, and truly feel the spirit. The stories contained there in will leave you wanting to ponder and review them many times. Which is why I have the CD's and the book.